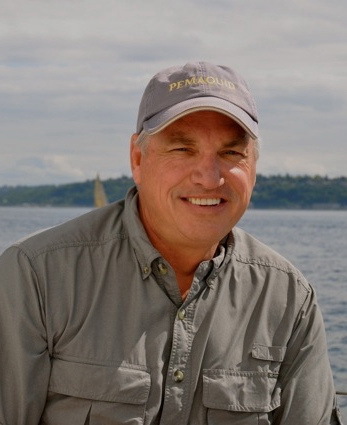 What a pleasure it is to introduce you to my Guest Post ~ Tom Schabarum, author of “Airstreaming”. With a virtual introduction, I feel honored to know this kind, adventurous and caring man! And, besides his love for Airstreams, he is a huge dog lover, like myself. I have purchased my copy of “Airstreaming” here and have it downloaded to my iPad. Looking forward to reading it on a quiet weekend at the shore! Here is quick glimpse as noted per Amazon.com: “Airstreaming is set in Kansas City, the epicenter of be-bop jazz, train travel and commerce in mid-century Midwest. 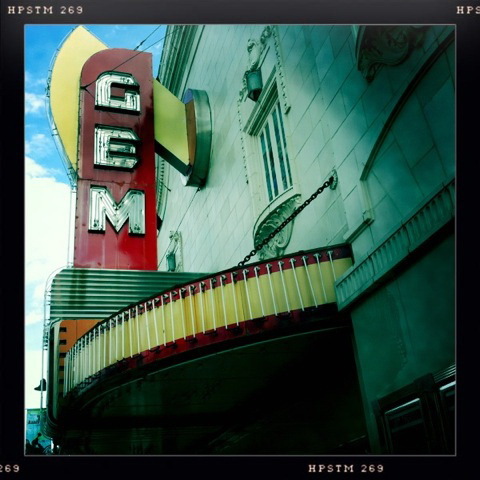 The story begins in the early 1970’s, and uses the declining 18th and Vine Jazz District, Union Station and West Bottoms stockyards, as its backdrop, as well as the outlying town of Olathe, Kansas. Airstreaming refers to the icon of American travel, the Airstream trailer, which conjures up dreams of escape for many people. The trailer becomes a catalyst for three women whose extraordinary circumstances bind them together.” Enjoy. The life of a writer is a strange thing. For this one, it’s a mish mash of dedication and fear. Fear that the next sentence won’t come, or more importantly, that it won’t be any good. Even with the response I’ve had from the work, I’m still hesitant to get the sentences out. Much like ‘Streamers polishing their trailers down to its bright silver shine, we writers work on our sentences until they, too, shine. 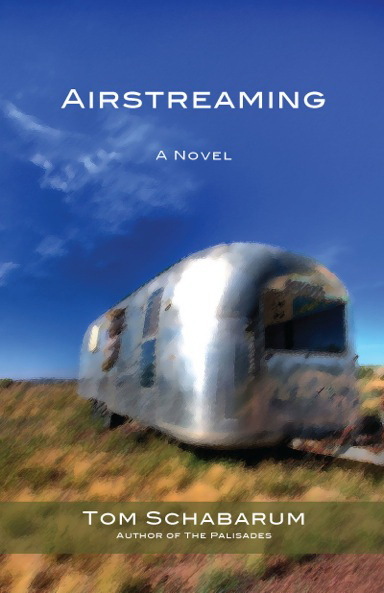 My new novel, AIRSTREAMING, brought to the surface many things I’d hoped for as a writer – a chance to tell a story outside of myself, to move others, to do research on a thing and place that would imbue the work with authenticity, and to meet a lot of great people as writing is such an insular process. Twelve years ago I had an idea of writing about an Airstream trailer. Twelve years! The idea became a short story with a young girl named Linda, a couple, Jack and Martha, and the Airstream, which had magical powers of translucence. Hmmm. Not so good. Then the story became a screenplay, better – it became a finalist in the Chesterfield Screenplay competition, which is a pretty big one. Then, the story – or idea – began telling me it needed to be a novel, something bigger, something more detailed. I enrolled in the Bennington MFA Writing Seminars and found out just how much work I needed to do. I finished up my second novel, THE NARROWS, MILES DEEP, in the first year and began AIRSTREAMING as a novel in the second year. One of my teachers, Doug Bauer (The Very Air and The Famous Book of Iowans) said: if I wanted to continue down the road of magical realism I’d better read One Hundred Years of Solitude by Gabriel Garcia Marquez. I did, and that book became my favorite all-time novel, and made me abandon my ambitions of writing magical realism. At the same time, a neighbor of mine in Santa Barbara, California was restoring a vintage Airstream to take his family around the country and Canada for two years. He stripped it of everything and started from scratch. Watching him do this gave me ideas and I marveled at the craftsmanship he put into the restoration. When the trailer was finished, it was highly functional for four people and beautifully appointed for life on the road. 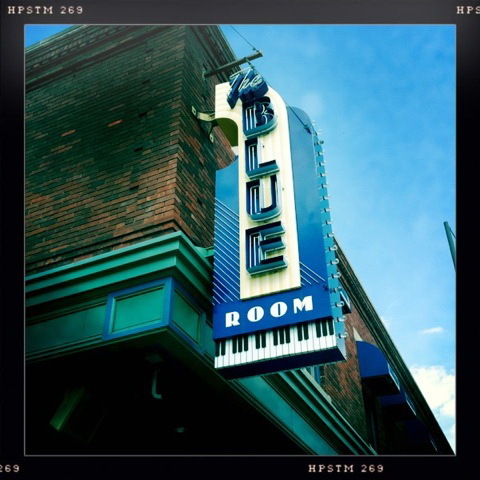 This gave me the impetus to reset the story to a place that was quintessentially American – Kansas City – here was a city that had contained two important things that thread through the novel: Be-bop Jazz and trains. My research took me to 18th and Vine where all the greats played, but had declined from its heyday in the 30s and 40s. 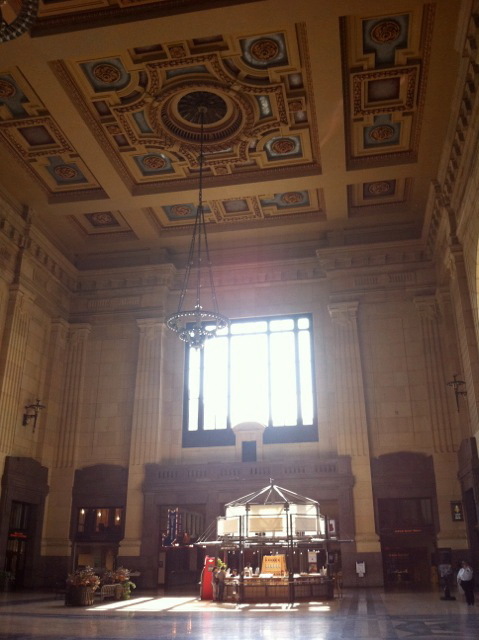 Union Station, a grand old building that saw the comings and goings for decades, too, was in disrepair at the time this novel takes place. But the memories of music and train travel for the characters in the book are strong, and they steadfastly hold onto them to keep their lives on course. For my MFA thesis, I finished about one quarter of AIRSTREAMING, which went through several drafts. Now I had more characters – a father, a mother, some neighbors, a boy. And then, upon graduation in 2002, I abandoned writing altogether. Life got in the way. I moved to Washington State, began working a lot, and would revisit the book sporadically over the years and pages accumulated little by little. So much happened in those years to me personally and then, in 2010, a mid-life crisis shook me to my core. I’d been working so much, not enjoying life, and had lost family and my dog. My first novel, THE PALISADES, had been sitting around in my drawer and computer for years and years. Then, the self-publishing phenomenon took off and I decided to put it out as an e-book and paperback. I began receiving notes and surprising e-mails from readers around the country, which buoyed my confidence. I won a poetry competition. I put my second book out and began working on AIRSTREAMING in a little corner of my local coffee shop. In the morning, I’d walk, come home, rewrite what I’d written the day before, shower, go to the coffee shop and spend 4-5 hours working on the novel. I was steadfast in my routine for several months, and did not break it until the novel was finished. This thing that was rattling around in my head was now finished. I was relieved and a little dismayed. Now what? I was given the name of an editor who took the book and helped me refine it and make sure that everything made sense. I added another 4000 words and took out quite a few as well. I also went back to my coffee shop. I’ve put AIRSTREAMING out on Kindle and Nook in hopes that it will find an audience. I’ve learned a lot about social media in the year I’ve had my books out. 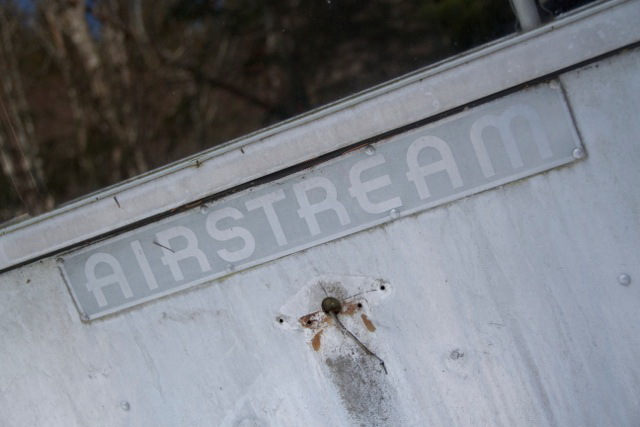 In marketing AIRSTREAMING in the last couple of months, I’ve reached out to many people in the AIRSTREAM community, who’ve been incredibly thoughtful and wonderful. My hope is to buy a Flying Cloud soon and rid myself of the stuff that ties me down and go out on the road with my partner. There is a sequel brewing in my head. I’ve written the first pages, the sentences are coming out clear and strong. Linda needs to continue her adventure, and so do I.
AIRSTREAMING can be found on Amazon.com as an e-book and paperback, and on Nook as an e-book. For more information, go to my website or tschabarum.wordpress.com where he writes a literary blog called Word Incident.